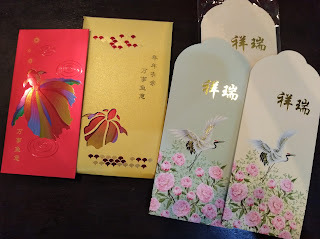 The red packets that I got so far this year. 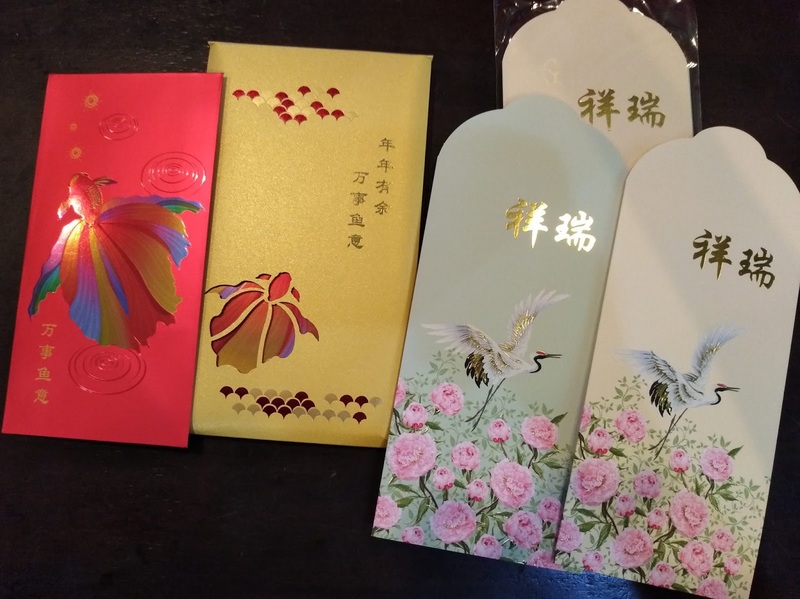 I love generic red packets. Not those that follow the Chinese mosaic signs and you could only use them on that particular year or 12-years down the road! 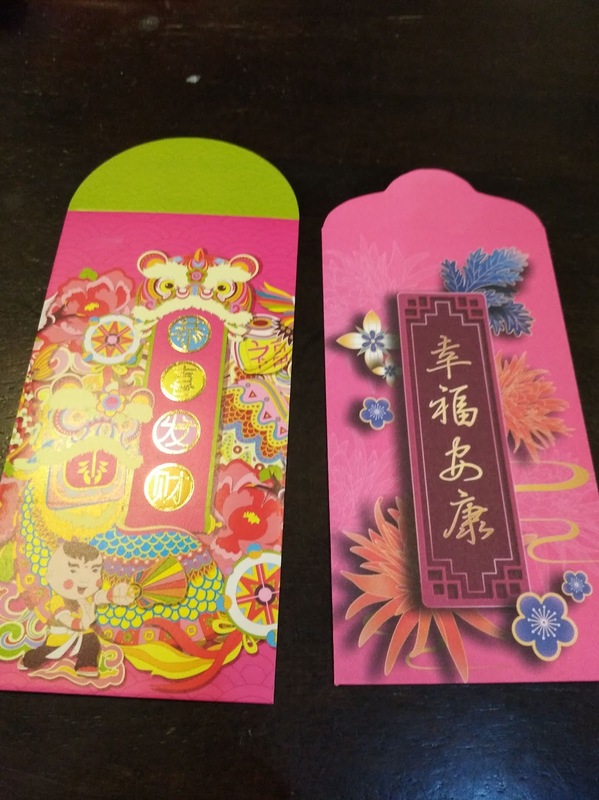 Maybe because it is the Year of Pig or some called it Year of Boar. I haven't got any printed with the pig zodiac. First packets we got were from Parkson when we did our shopping. 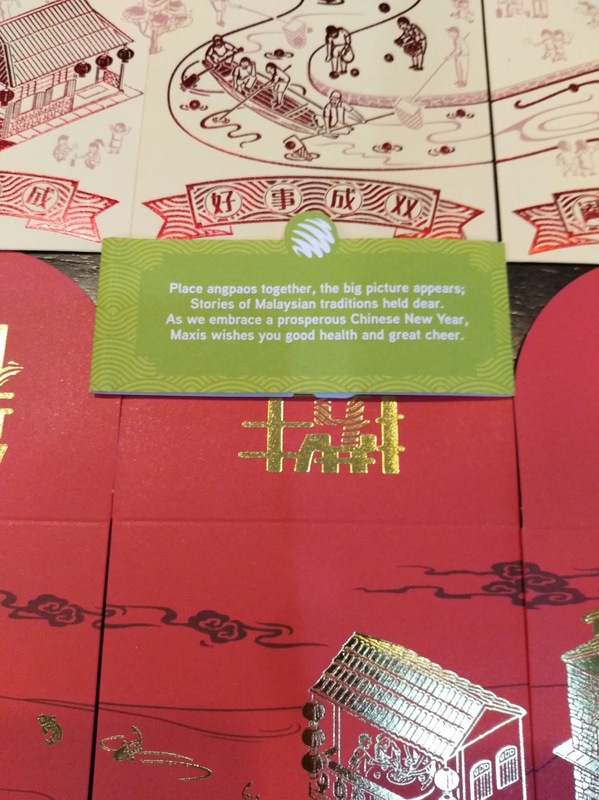 And from a local pharmacy which giving out their own printed red packets. Lovely design of red packets from this bank this year. I think this year, Maxis outdone themselves with this design. I love its ang pow the most. 6 in a pack and you need to assemble them to see a bigger picture. 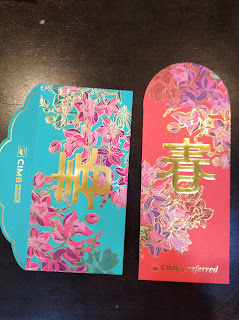 Red packets from 2 insurance/investment companies. 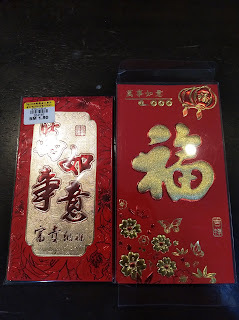 I like the gold fish red packet. My man saw these packets from Supersave one weekend and he couldn't resist not to buy them. Quite a lovely collection you have! I got from AmBank, regular and priority - no pigs either! 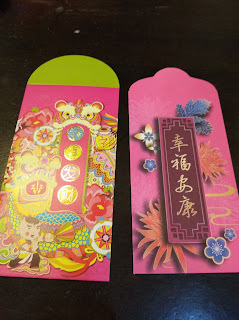 But I have the ones from Mr. DIY - a packet has a set of 5, all different designs. Lots of pigs. LOL!!! The ones from Maxis are so creative that you need to assemble them to see the whole picture. 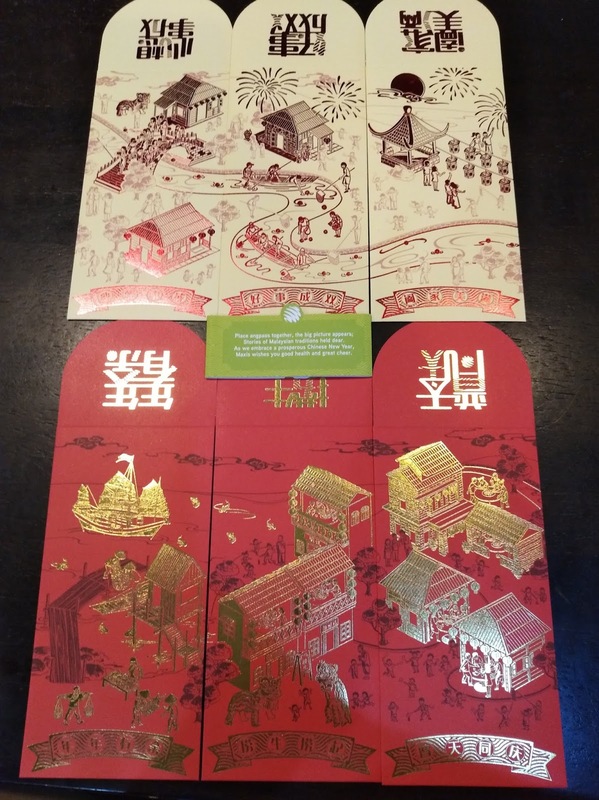 I like the any pow packets from the insurance company with the cranes, unique as they are not the conventional red or pink colour. Your collection of angpows very nice and I like them.